...............these were HOT favourites on the on-line auction sites some time back. 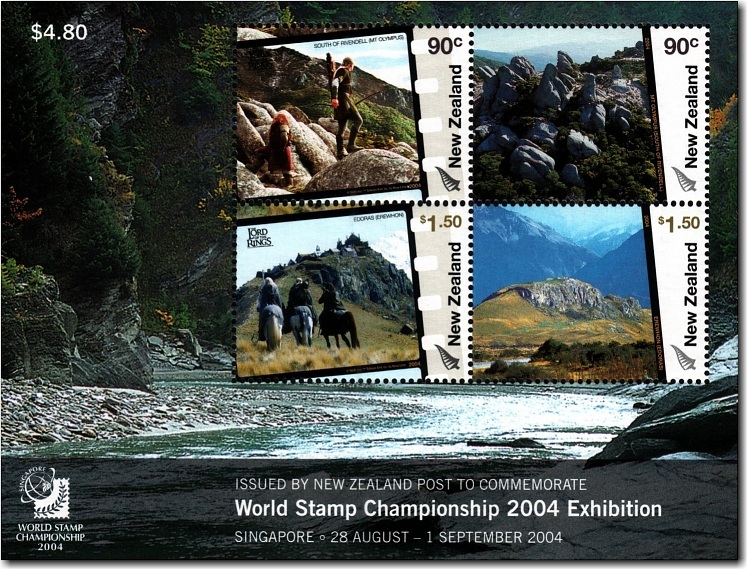 I sold a few used some years ago (that arrived on covers) - not my collecting theme, but I do have a few bits and pieces still hanging around including a 2004 mini-sheet - World Stamp Championship 2004 Exhibition Singapore. Shout if you need one MNH - it can go at face which is what I paid. (NZD$4.80). Costs 2 or 3 times that on Ebay. 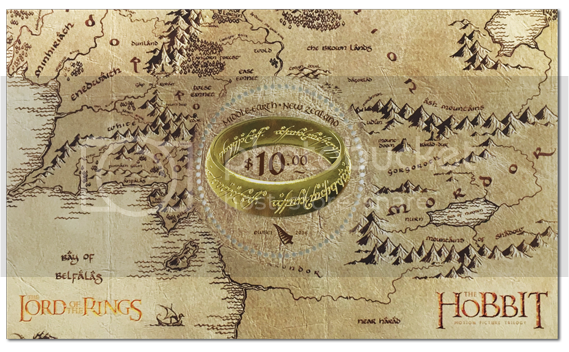 Nice piece if you are a collector of LOTR. ...............and then there is a book which costs $149.95 and it contains all of the mini-sheets from the 3 Lord of the Rings Issues (2001 - 2003), the 3 Hobbit issues (2012 - 2014) and the one true 'ring' sheet. Not sure of face values as the promotion material does not show the inside of the package.